Make a simple drawstring bag to carry dog treats. Keep your active dog energized by having his favorite treats with you in a homemade dog treat bag wherever you go. Make your dog's treat bag from lightweight fabric that washes well, such as a cotton blend, or use a lightweight suede to make a high quality, durable treat bag. You treat bag should fit your hand loosely, so use your hand as a basic pattern. 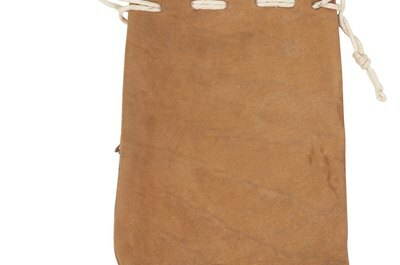 Put your hand flat on top of two layers of bag material or suede leather. Use a ruler as a guideline and pick up a fabric marking pencil to draw a rectangle about 7 inches deep and about 1 inch wider than your hand's width. Use a serger or zigzag sewing machine to finish the raw edges on a cloth bag. With the fabric's right sides together, sew along one long edge, across the bottom, and up the other long side. Open the unstitched end and finish the raw edges with the serger or the sewing machine's zigzag stitch. Stitch two small buttonholes on each side panel, a half-inch from the open edge and about 1 inch apart. Feed a quarter-inch wide ribbon through the holes, then tie the ribbon ends together to finish the drawstring. 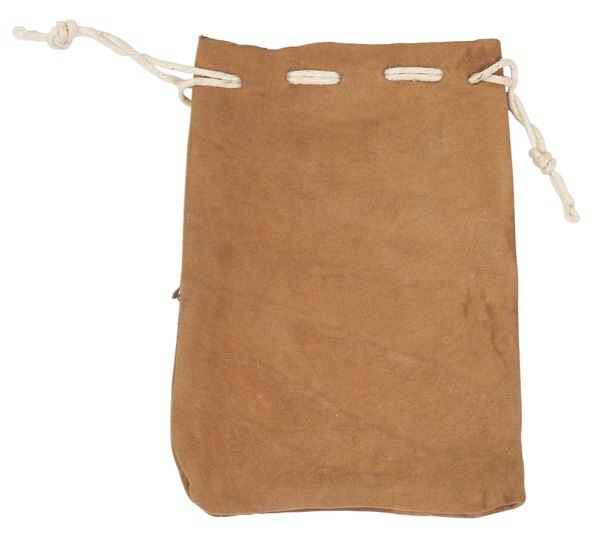 Use your sewing machine's straight stitch if you are sewing a suede leather treat bag. The straight stitch works with this material because leather does not fray the way fabric does. Sew all the way around the outside of the bag, leaving the top edge open. Cut two small slits in each of the bag's side panels about a half-inch from the open edge. Feed a piece of ribbon through the holes and tie the ribbon's ends together. When you travel with your dog, slip a carabiner clip through the looped end of the ribbon, then hook the treat bag to your belt or waist band. With the bag hanging from your hip, you can easily dole out treats while hiking with your pet or playing at the dog park. What Can Happen to a Dog With Heartworms Who Is Given a Heartworm Preventative? What Kind of Dog Worms Look Like Rice?